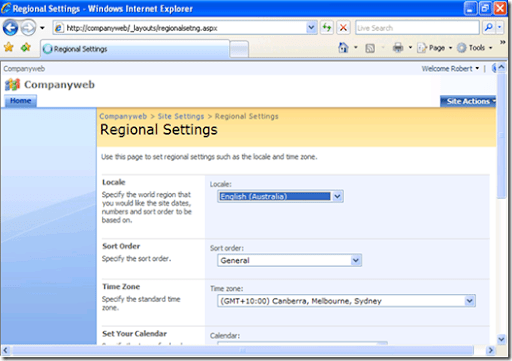 Because not all SBS2008 installations are completed in the United States it is necessary to change the regional settings on Companyweb, even though you selected them correctly during the SBS2008 installation process. 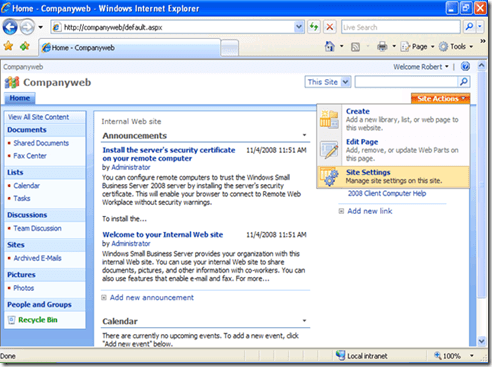 Scroll down the page and make any other changes that are necessary and then press the OK button at the bottom to save your changes. 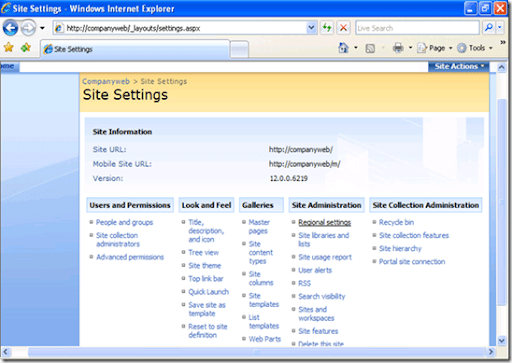 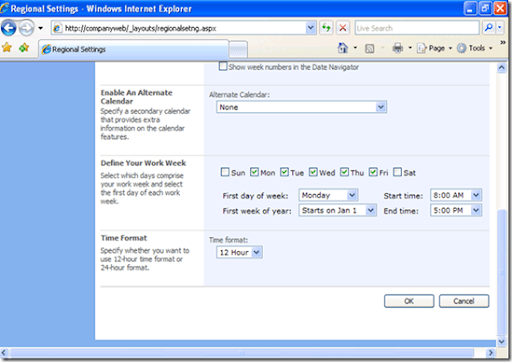 If you return to your Companyweb home page by selecting the Home tab you should find your time and date settings have been updated.